Young combatants who handed their guns over to the government in 2009 say oil-soaked corruption and inequality are pushing the next generation back toward bloodshed. PORT HARCOURT, Niger Delta, Nigeria — It’s been five years since 32-year-old Livinus Damka turned in his two AK-47s. Those guns used to be his livelihood. They helped bring him decent money. When Damka was 23 years old, he was one of the thousands of youth in the Niger Delta who took up arms against the Nigerian government, demanding a share of the country’s vast oil wealth channeled through pipelines in their local communities. Frustrated by a lack of opportunities, Damka became a militant in the Niger Delta’s armed insurgency — a violent struggle marked by kidnapping of foreigners for ransom, vandalizing oil pipelines, setting up illegal oil refineries and fighting Nigerian soldiers. They thought their lives would be different after 2009, when the Nigerian government brokered a ceasefire with the militants. Damka and about 30,000 former combatants signed up for the amnesty program, handing in their guns with the promise of a monthly stipend and vocational training in Nigeria and abroad — all paid for by the federal government. Damka travelled to Poland to study sea navigation at Ggdynia Maritime for two and a half years. He received about $700 a month from the Nigerian government while he lived in Poland. After finishing the first phase of the training, Damka returned with an “Officer of the Watch” certificate and no assurance of when the government will send him back to Poland to finish the program. In the meantime, he’s managed to grab a temporary position as a deck cadet with a shipping company. More than 90 percent of Nigeria’s highly prized, low-sulfur light grade of crude oil is found in the world’s largest mangrove forest — the Niger Delta. The region, which accounts for 37 billion barrels of reserves, is the lifeblood of the Nigerian economy. According to the Organization of the Petroleum Exporting Countries (OPEC), oil revenues account for about 70 percent of Nigeria’s total exports revenue, with India, the Netherlands and the United States as some of the top buyers. 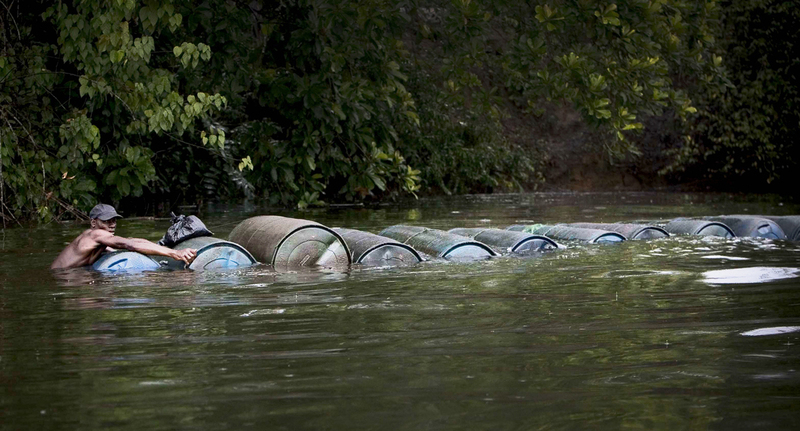 Royal Dutch Shell admitted liability for two oil spills, in 2008 and 2009. 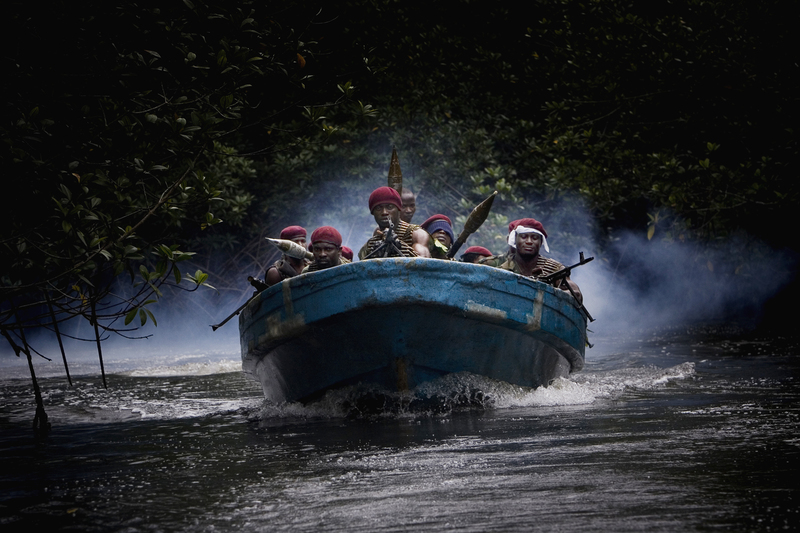 The oil revenues have yet to effectively trickle down to Niger Delta’s residents. Living standards here are low and decent jobs are scarce. For many, education had become a dead end. That’s why Damka dropped out of school and picked up a gun. In 1998, more than a reported 5,000 youth of the Ijaw ethnic group gathered to issue the now-infamous Kaiama Declaration. With a lengthy letter addressed to oil companies, they demanded a cessation of oil exploration activities in their communities. Over the course of a decade after Nigeria’s 1999 transition to civilian rule, the fighting escalated and the oil sector suffered. At one point, Nigeria was losing 500,000 barrels a day as more and more pipelines were sabotaged. Christopher Eugene was barely in his 20s when he started illegally tapping the pipelines and selling the crude oil to smugglers. “There were just no jobs,” he says, shrugging his lean soldiers and staring off into the distance. Eugene, a meek and soft-spoken 25-year-old, joined the armed struggle to make some money after he finished high school and failed to find employment. He had dreams to open a supermarket, but didn’t know how. As part of the amnesty program, he participated in a two-month entrepreneurship program at a local institution, which he said was cut short inexplicably by the government. Today, Eugene still does not have a job. When he’s feeling up to it, he walks around town looking for day gigs at construction sites where he can earn about $18 a day. When asked about the amnesty program, he simply shakes his head. Damka and his wife Rita dream of leaving the hardships of the Nigerian reality behind them and living in Canada. “It’s peaceful there,” Damka says. But according to Christopher Roberts, the CEO of KayJay Energy Services, running away is not the solution. The consultancy firm recruits skilled professionals to work at production and non-production facilities in Nigeria. He says Nigerian youth lack initiative and believes they are waiting for handouts. More than 300 people have been hired through Robert’s firm, working on oil rigs and deep water units. For him, Nigeria’s inept education system, with its glaring failure to foster leadership and innovation, is the main problem. He sighs in frustration, thinking about the deterioration of a system that was once hailed for its academic rigor. After years of ruthless military regimes and political instability, the education infrastructure has virtually crumbled. Roberts, part of Nigeria’s slim but omnipotent top “1 percent” by income, represents the money-driven aspirations of many Niger Delta youth. He’s a local man who used his own skills and initiative to create and manage a lucrative firm, but in the current state of Nigeria’s dilapidated education system, few will manage to get there any time soon. Teachers and administrators at the nearby Institute for Petroleum Studies (IPS) offer a select few a pathway to that level of success. The brainchild of a former president of the MacArthur Foundation, IPS offers top-performing first-degree graduates with a world-class education in petroleum engineering, geosciences and related studies. The one-of-a-kind program hosted at the University of Port Harcourt is a potential solution for redefining Nigeria’s academic system. IPS graduates go on to work at international oil companies in Nigeria and around the world. But getting to IPS is a scramble. Every year, almost 600 applicants apply for only 20 spaces. Celestina Johnson, an administrator at the institute, said she often wants to cry during the interviews because so many of the applicants will never get a chance. Currently the country is being rocked by another insurgency — different in philosophy and severity — though thriving in the same blighted landscape of desperation, illiteracy, and poverty. In April, the militant Islamist group Boko Haram seized the world by kidnapping almost 300 Nigerian female students. To date, none of the girls have been rescued by the Nigerian government. Boko Haram continues abducting girls, women and boys across northeastern Nigeria. 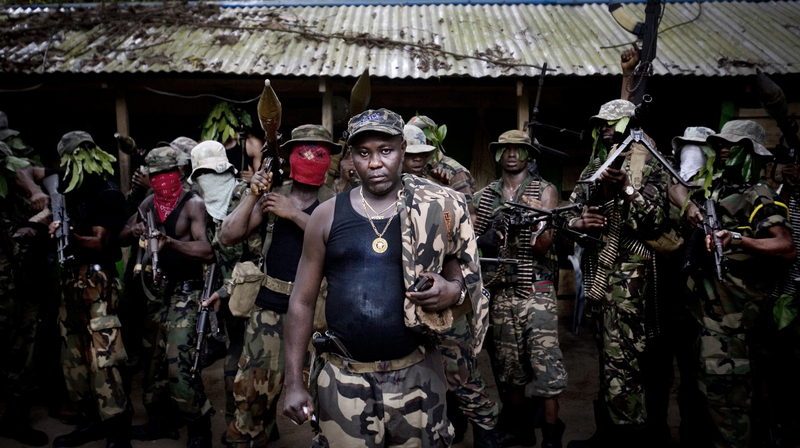 Like the Niger Delta militants, the Islamic insurgents feed off governmental corruption and ineptitude. 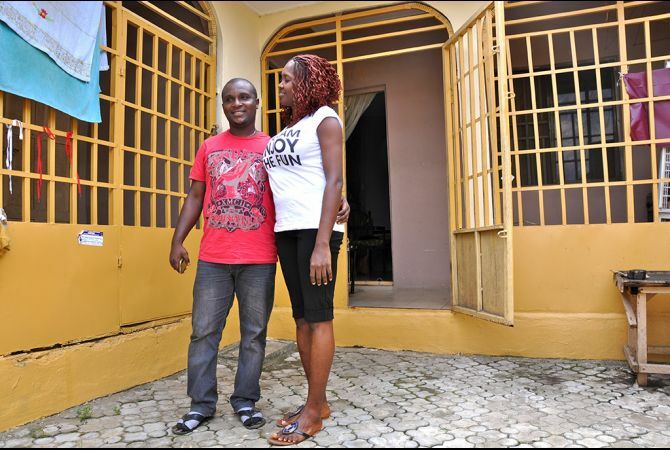 Across Nigeria, millions of young people are living Damka and Eugene’s life of wretchedness. In the oil-rich Niger Delta, grim poverty is juxtaposed with flashy wealth: oil magnates driving expensive cars and living in million-dollar mansions set behind barbed-wire fences. “They say love unites all…but the only link that is common among all Nigerians is poverty,” says Bristol-Alagbariya, the national secretary of the Ijaw Youth Council.. He and many others believe Nigeria’s stark economic disparities will combust at any time. The newspaper confirmed that the Nigerian state oil company had given Tom a sum of $3.8 million. From his lavish home in the low-income Okrika community, Tom sits with his feet padded in olive green Gucci shoes. Stroking his gray beard, he looks through his Ferrari sunshades at an expansive green lawn where a peacock and a turtle rest in the shade under a hooded patio. His Toyota jeep is marked with a federal government license plate. During the militancy, Tom was a formidable figure, mobilizing thousands of young fighters. It’s not clear what type of business Tom is now into (he only divulges that he has six companies), but what is transparent is his money and power. His picture is plastered on trees and walls around the community. His “boys” guard him with vigilance and two dogs at the gate bark viciously at strangers. Tom says he doesn’t even go near the two lions that he bought. He just wanted to buy them. From this high-priced vantage point, one cannot help but to think that if you play your cards right in Nigeria, it pays to be a militant. The amnesty program is set to end in 2015. But with endemic youth unemployment and dire living conditions, it’s clear that it wouldn’t take much for violence to return to the Niger Delta.